Looking for somewhere to shop this weekend? Stop by the newest boutique to debut atCityCenter of CityNorth, Status. 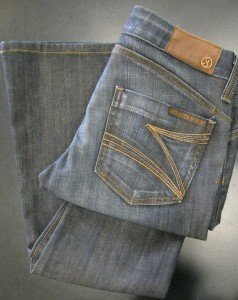 Status carries tons of designer denim with fave names like Frankie B., Rock & Republic, William Rast and Tavernitti. 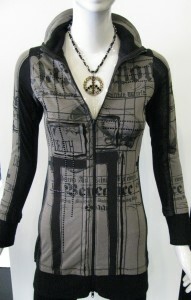 Stocking more than just jeans, Status also carries women’s tees, dresses, bottoms and menswear as well. 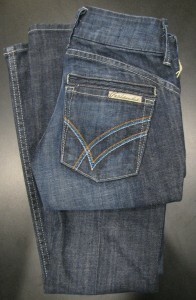 For those that are a fan, Status carries plenty of Ed Hardy, Christian Audigier, English Laundry and Affliction. Status is the newest boutique to debut at CityCenter of CityNorth, the upcoming shopping, dining and residential destination at 56th Street and Deer Valley. Phase one of the two-part rollout is in progress and includes other boutiques like Bebe, Alessi, Apricot Lane, D&G Designs, Guess, White House Black Market and Zuva Gallery, to name a few. Phase two of the CityCenter of CityNorth project is expected to open in the fall of 2010 and will include Arizona’s very first Bloomingdale’s, the first Nordstrom in Phoenix and many more retail and restaurant destinations. Status at CityCenter of CityNorth boasts new merchandise arriving daily and posts it in a blog format on their Web site. Here are some of their most recent finds. 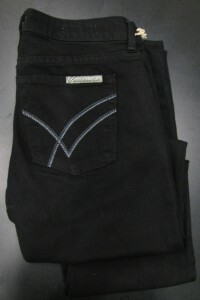 William Rast jean and William Rast denim in black pictured below. If you don’t have a pair of black denim I’d definitely snap up some now. Salvage tees. These just arrived on Wednesday so if it’s what you’re looking for stop in now. 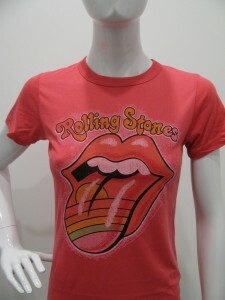 The blog roll on the Status Web site posts new merchandise daily and also organizes by brand. So it’s great if you’re looking for something in particularly to just log on, click and see what they have in stock. Check out Status at www.statusatcitynorth.com. Situated in Phoenix’s demographically dynamic Northeast Valley, CityNorth will offer an interactive urban lifestyle with a synergistic mix of retail, restaurant, residential, hotel, office, cultural, civic and entertainment uses—all carefully woven together in a pedestrian-friendly environment. Here, an authentic urban experience will include all the best aspects of city living, creating a unique city-within-a-city. At completion, CityNorth will comprise more than 5.5 million square feet of development on 144 acres. Envisioned by Thomas J. Klutznick as the urban core of the well-established and highly successful master-planned community of Desert Ridge, CityNorth is sited near the intersection of two major freeways—Loop 101 and State Route 51, making it readily accessible from throughout the Phoenix metropolitan area. Good I’m glad to see places are still opening up there! I heard William Rast jeans fit pretty well, I’ll have to try on a pair. Isn’t William Rast Justin Timberlake’s brand? Claudia–yes, I’m pretty sure it is. If JT did it, I’m there. I’ll be there anyway stuffing my gob with MOJO yogurt, so I might as well stop by. The jeans look nice but I’m not a fan of that black and gray jacket.. looks almost Ed Hardey-ish.. Ick! No thanks, not into salvage tees. I didnt see this store when i was up at City North yesturday, where is it located?? I need black jeans. Suppose I should finally cave in. I haven’t been to City North since it opened but it’s not far from my house (finally some decent shopping) so I may go check it out. Same for me, Mrs. McSteam. Actually, there are 2 good boutiques in the new Happy Valley Towne Center near my house. Trendy Tag Boutique (they need a new name) and So Vain. So Vain is newer, I haven’t been in there but the logo is cool. This I’ll stop by this weekend. I just checked this place out- they have some really cute clothes. I like the name of this store – it just makes me want to go there so i have some Status. seriosuly, its a psychological trick that will work on most of us. Status is at CityCenter of CityNorth off the 101 at the corner of Deer Valley Dr and 56th…next to Desert Ridge Marketplace and right across the street from the JW Marriott Desert Ridge. If you like Status and their clothes, you have another equally great boutique just a few stores up called Apricot Lane…fiercly fabulous! Both are located near the Kona Grill end.